Arriving in Shanghai last week, both Mercedes drivers and Wolff spoke of their fear about Ferrari’s straightline speed. It was evident in Friday’s practices where the Scuderia drivers were about 10kph faster down the back straight. However, when it came down to it, over a complete lap it was Mercedes who had the advantage. 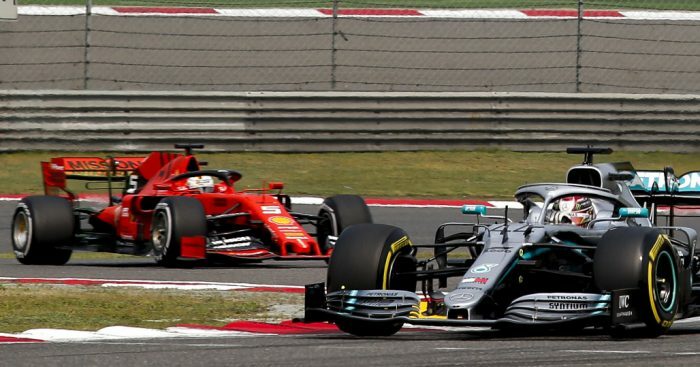 Pundits noted that Ferrari’s pace through the slow corners was extremely slow which allowed Mercedes to put distance between themselves and Ferrari drivers in the race. Wolff says he was surprised. “I believed their straightline advantage, especially in the opening laps, would be a danger for us,” he said, “and when DRS was enabled, even more. “We didn’t see them coming anywhere near. “I think our exit onto the main straight out of Turn 13 was very good. We were able to put a little gap there so they were never close enough. Wolff added that while Ferrari’s “straightline performance is still very strong in the race”, he reckons they are lacking balance between the straights and corners. He added: “With every team you need to get the balance right between the drag power and downforce level. “You want a draggy car to be fast through the corners, but equally not to lose time on the straights.